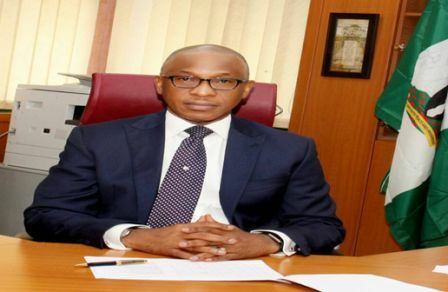 The Bureau of Public Enterprises (BPE) has privatized 142 enterprises from inception to date, Director General of the privatisation agency, Mr. Alex A. Okoh has revealed. Receiving members of the House of Representatives Committee on Privatisation, led by its Chairman, Alhaji Ahmed Yerima who were on an oversight visit to the Bureau in Abuja on Thursday, February 15, 2018, Okoh said out of the number, 94 enterprises have been monitored while the rest have been not because “some were either assets sale or in the first phase of privatization and as such did not fall within the BPE’s monitoring purview”. He said out of the privatised enterprises, 63 percent of them are doing well while the remaining 37 percent are not performing. The Director General attributed the poor performances of the non-performing enterprises to the operating business environment in the country in which many private or privatised public enterprises have either closed down or relocated to neighbouring countries. Out of the 142 privatised enterprises, the Director General said, 63 were through core investor sale, nine through guided liquidation, one through sale to existing shareholders, five through public offer and two, through liquidation. He added that eight were privatised through private placement, 41 through concession, two through debt/equity swap and 11 through sale of assets. Breaking down the enterprises by sectors, the Director General said, five were in the agric machanisation, eight in automobiles, seven in banking and insurance, six in brick making and six in the cement sector. The others, he listed are 10 in energy construction & services,12 in hotels &tourism, eight in oil & gas, four in paper & packaging, 19 in solid minerals & mining, 7 in steel & aluminum, four in the sugar sector, 26 in marine transport sector, 19 in power and one in telecoms. The BPE helmsman informed the lawmakers that the Bureau has commenced a thorough review of the non-performing enterprises to ascertain the issues affecting their non- performance. He listed the new initiatives embarked upon by the Bureau to include; the Afam Power & Yola Distribution Company privatisation, concessioning of the Terminal B of the Warri old Port, restructuring and commercialization of the Bank of Agriculture (BOA), partial commercialisation of NIPOST, restructuring and commercilaisation of the 12 River Basin Development Authorities (RBDAs), reform and commercialisation of three of the nation’s national parks and other initiatives in the power sector. Earlier, Chairman of the House of Representatives Committee on Privatisation, Alhaji Ahmed Yerima had said that the Committee was at the Bureau to have first hand information on its activities; and to ascertain its compliance with the provisions of the 2017 Appropriation Act in line with the resolution of the House that all Ministries, Departments and Agencies (MDAs) complied with the Act. The Chairman assured that the Committee would use it legislative powers to ensure that BPE’s mandate is not usurped by MDAs; and noted that any attempt in that direction was an infraction on the constitution of the country.